A Passport Seva Kendra was opened in the Raiganj post office here today to facilitate the issuing of passports to residents in the districts of North and South Dinajpurs, and Malda. Sources said the Raiganj centre was one of the 56 POPSKs or Post Office Passport Seva Kendras to be opened by the Union government across the country. Today, Md Salim, the CPM MP of Raiganj, inaugurated the centre in the presence of Arundhati Ghosh, the chief post master general of the state. "Residents of North Dinajpur and the two neighbouring districts can now apply online for passports from the centre. 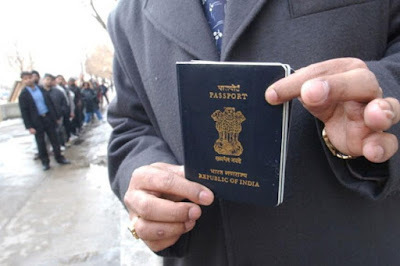 They will no longer have to travel to Berhampore or Calcutta to avail themselves of passports. According to rules, after applying online, the applicants will have to appear at the centre on a stipulated date with all necessary documents," said a source. The centre will function from the first floor of the two-storied post office building. "Because of certain technical limitations, passports under tatkal scheme will not be available from the centre right now. We intend to start the scheme in two-three months. Right now, the plan is to call around 50 applicants to the centre a day," an official said. Berhampore is around 200km from Raiganj, while Calcutta is about 410km away.